This 2-ply toilet paper from Kimberly Clark combines an excellent balance of strength, softness, and absorbency at an affordable price. 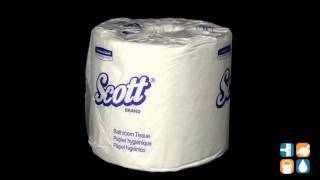 Scott toilet paper is the classic standard toilet paper roll by which all others are compared. A minimum of 20% of the toilet paper is made from post-consumer material, meeting EPA standards. Each roll comes individually wrapped so it stays clean until it is needed. The decorative paper will enhance the beauty of your bathroom, either at home or work. For well over a century, people all over the world have chosen Kimberly-Clark brands such as Scott Toilet Paper for their value and performance. This 2-ply toilet paper is an environmentally responsible solution to your toilet tissue needs and is ideal for use in just about any restroom, whether it be in a hotel, school, office building or your own home. 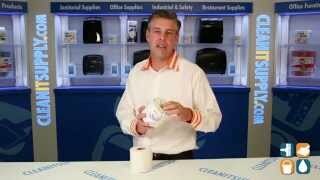 A reliable and practical choice, stock up on Scott 2-ply Toilet Paper today!